If ya'll love the old time, feel good, Americana music then do we have a show in store for you! The very talented Old Crow Medicine Show are coming to Stage AE on Tuesday 30th May 2017! 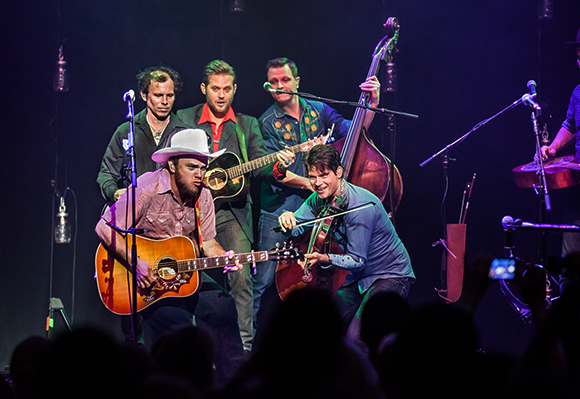 These guys will be hitting up venues across North America this coming spring and do they sure know how to get a crowd moving… with fun performances of all kinds of instruments and special guests – the Old Crow Medicine Show are a popular one to see LIVE! Book your tickets today! The Nashville based String band, Old Crow Medicine Show have been gathering fans far and wide with their energetic, all crowd join in performances. First starting back in 1998, they performed non-stop and got their major breakthrough in the mid 2000's, as the hype for folk music grew worldwide with artists such as Mumford and Sons taking the limelight. Old Crow were able to spread their sound and played an important part in the revival of banjo-picking music! Now, they are one of the biggest on the scene, if you haven't seen them perform, then here is the time to do so as any one will tell you, Old Crow Medicine Show are a must-see and are truly entertaining!